The DorobekINSIDER has confirmed that William (Bill) Turnbull, currently Energy’s Associate CIO for Advanced Technology and Systems Integration, will be the acting chief information officer at the Energy Department after Tom Pyke retires on Feb. 26. The DorobekINSIDER told you last month that Pyke was going to retire after 45 years of public service. In a note to Energy Department CIO staff, Pyke said that Energy Department deputy CIO Carl Staton will also be retiring. I am forwarding to you (below) the Deputy Secretary’s announcement that Bill Turnbull will be Acting CIO after I retire. My last day in the office will be February 26. I will be assisting Bill during the next few weeks as he prepares to assume his new responsibilities. As you know, Carl Staton long ago developed plans to retire in early April. Carl will continue as Deputy CIO until he retires. While he is still here, Carl will also be assisting Bill Turnbull with his new duties. I know that all of you will enjoy working with Bill over the next several months, while the search goes on to select a permanent CIO. 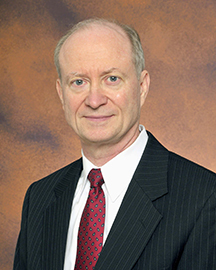 As many of you know, after 46 years of distinguished Federal service, Tom Pyke will be retiring from DOE on February 26, 2010. As of March 1, 2010, Bill Turnbull will serve as the Department’s Acting Chief Information Officer (CIO). Also beginning in early March, Dr. Rosio Alvarez, the Chief Information Officer at Lawrence Berkeley National Laboratory, will provide the Secretary and me with advice to help with the transition and with advancing IT reform across the DOE enterprise. Please give Bill and Rosio your full support in the coming months as we transition to a permanent CIO. As Associate CIO for Advanced Technology and Systems Integration, Bill Turnbull leads the Department of Energy in the exploration of new information capabilities in support of the Energy mission. Before joining the Department of Energy, Bill served as Deputy CIO and Director of the High Performance Computing and Communications Office at the National Oceanic and Atmospheric Administration (NOAA). Among his duties were leading the integration of NOAA’s three high performance computing centers, moving the agency onto advanced networks, and exploring advanced information technologies including visualization and collaboration technologies. Bill also spearheaded NOAA’s drive for IT security. Bill has represented NOAA or participated in subcommittees and working groups of the NSTC Committees on Technology, Science, and Environment and Natural Resources. Throughout his career, Bill has worked to harness advanced technologies to improve mission performance. At NOAA, as a member of the NOAA Corps, he maintained and operated a Univac system aboard the NOAA Ship Discoverer, introduced the first RISC systems at the Climate Diagnostics Division, and designed and implemented the first sea—going network while commanding the NOAA Ship Surveyor. Bill has been honored with the Department of Commerce Silver Medal and Bronze Medal, the NOAA Administrator’s Award, the NOAA/EEO Spectrum Award, and the NSF Antarctic Service Medal along with other IT-related recognition. Mr. Turnbull received his B.S. in Physics from the University of Illinois, Master of Public Affairs from the University of Washington and is a graduate of the National Defense University, IRM College Advanced Management Program. He is a member of IEEE and the ACM. He is married to Susan and together they enjoy scuba diving and family.